Only a quick walk to the beach and Manly village there is plenty to keep you occupied and a great choice of places to eat and drink. The bay is perfect for swimming, boating, fishing, stand up paddling, windsurfing, sailing or just relaxing. Manly sailing club is across the road and hosts many regattas. 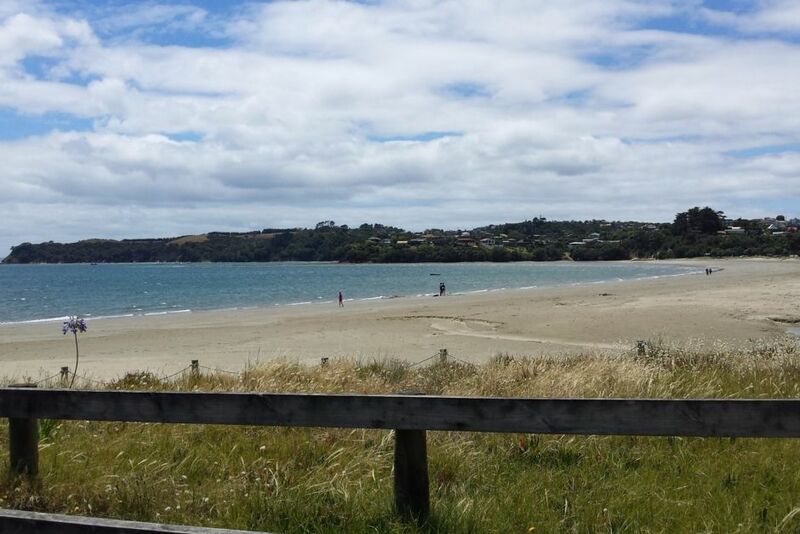 Gulf Harbour and Shakespear regional park are only a short 10 min drive away with plenty to do. Shakespear is wonderful or walks and has a beautiful park and beach. Ferries run from Gulf Harbour to Auckland City and Tiri Tiri Maitangi. The open plan studio is new and beautifully finished, located above the owners garage with a separate entrance. We are across the road from the beautiful Big Manly Beach. Ideal holiday house close to the beach. Stayed twice now and will definitely stay again. This is the perfect place for my trips to New Zealand. Danielle is super welcoming and friendly. It's close to the beach, bus stop and it's a short drive to Gulf Harbour for the ferry to downtown Auckland. The flat is well kitted out and quiet. I would definitely recommend to others. The loft was extremely clean and well presented. It was very quiet, so much so that you can hear the waves on the beach that is just over the road and the tuis in the trees. The hosts are welcoming, friendly and helpful without being intrusive. We had a fabulous week. Loved this place ... nice modern fittings, really close to the beach, quiet at night ... I'll definitely be back. Great location. Nice clean modern unit. The loft is modern and clean and the location is amazing! The loft is modern and clean and the location is amazing! So close to the beach! We really enjoyed our stay here.